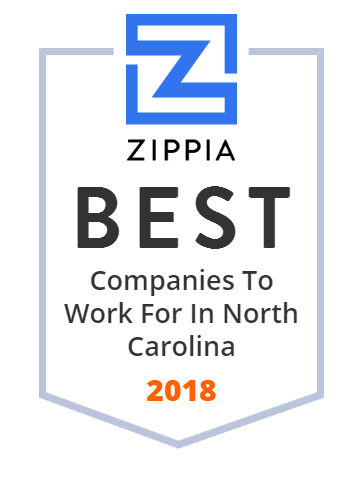 We hand-curated a list of the biggest companies to work for headquartered in and around North Carolina using data on salaries, company financial health, and employee diversity. JELD-WEN is an American company with its headquarters in Charlotte, North Carolina. Charlotte-Mecklenburg Schools is a local education agency headquartered in Charlotte, North Carolina and is the public school system for Mecklenburg County. Carlisle Companies Incorporated is a diversified, global portfolio of niche brands and businesses with highly engineered and high margin products. They provide quality products to customers in the commercial roofing, agriculture, mining, medical, transportation, and construction companies. In 2017, Carlisle's worldwide team of employees generated $4. 1 billion in net sales. Hanson Aggregates East, Inc. manufactures construction aggregates, sand and gravel, asphalt, ready mix concrete, and concrete products. The company is based in Morrisville, North Carolina. Hanson Aggregates East, Inc. operates as a subsidiary of Hanson Limited. Wake County is one of the most rapidly growing urban areas in the nation, recognized as a leader in innovation and technology. Student enrollment has grown by over 40% since 2004. Their challenge is to keep pace with that growth while delivering quality learning environments which are inviting to their students, conducive to teaching, and ecologically responsible. Established in 1962, Boddie-Noell Enterprises Inc. is a family-owned company that operates restaurants and develops successful real estate projects. Today, BNE has more than 340 Hardee's restaurants located throughout the Carolinas, Virginia and Kentucky. The company also operates commercial land ventures, a working farm with more than 200 head of cattle, and an additional restaurant concept, The Highway Diner. Hillco Ltd owns and operates nursing and dialysis centres for elders. The company provides skilled nursing services and rest homes. Additionally, it operates an insurance company for group health and auto coverage. The company was formerly known as Neil Realty Co. and changed its name to Hillco Ltd in 1994. Hillco Ltd was incorporated in 1963 and is based in Kinston, North Carolina. At Ply Gem, they make it possible for the nation's residential builders, remodelers and architects to design, build and update beautiful, low-maintenance and energy-efficient homes. From humble beginnings, Ply Gem has grown to be a leader in exterior building products, with an eye towards being the best not just the biggest. Hendrick Automotive Group is the nation's largest privately held automotive dealership group and the sixth-largest automotive dealership group overall, based on 2015 units sold, according to Automotive News "Top 125 Dealerships Groups." In 2015, Hendrick Automotive retail sales exceeded 198,000 vehicles and $8. 4 billion in revenue. Butterball is a brand of turkey and other poultry products produced by Butterball LLC. The third-largest district in North Carolina, Guilford County Schools serves nearly 72,000 students across 126 schools in urban, suburban, and rural areas. The District has 45 magnet and choice schools with 54 programs including Science, Technology, Engineering and Math (STEM), Spanish immersion, performing or visual arts, health sciences, and advanced academics. Since 2013, Guilford County Schools has been the recipient of the United Way Spirit of North Carolina Award. At Elior North America, our extraordinary team of foodservice professionals deliver innovative culinary experiences uniquely tailored for each customer and local community we serve. International Textile Group, Inc. operates as a diversified textile manufacturing company. The company s Bottom-Weight Woven Fabrics segment offers apparel fabrics, including denim under the Cone Denim brand for jeans wear market; synthetic and worsted fabrics under the Burlington WorldWide and Raeford Uniform brands for use in the production of men s and women s apparel, performance active wear, and uniform career apparel, as well as for the military dress uniform business; and cotton fabrics. This segment also produces technical and value added fabrics used in various niche industrial and commercial applications, such as engineered materials used in fire service apparel, ballistics materials, filtration, military fabrics, and outdoor awnings and covers; and automotive airbag fabrics, which are components of airbag modules, as well as exports airbag fabric to Europe. Its Commission Finishing segment manufactures and sells fabrics for battle dress uniforms primarily to the United States government and government contractors; and military prints for the United States government, as well as for other governments and commercial interests. This segment also provides textile dyeing, printing, and finishing services for decorative fabrics and specialty prints. In addition, the company offers transportation services. It markets and sells its products to customer base in the bottom-weight woven fabric, government uniform fabric, decorative fabric, automotive safety, and specialty fabric and services markets in the United States, Mexico, and internationally. International Textile Group, Inc. was founded in 2004 and is headquartered in Greensboro, North Carolina. International Textile Group, Inc. is a subsidiary of International Textile Holdings, Inc. As of October 24, 2016, International Textile Group, Inc. was taken private. Cardinal Logistics operates one of the largest, most diverse dedicated fleets in the US. Their logistics experts work with clients to improve transportation network visibility, increase fleet utilization, drive efficiency, and reduce cost by developing and implementing customized transportation solutions that best fit their needs. The Gaston County public school system is governed by a nine-member Board of Education that sets policy and establishes guidelines for school operations. Board members are elected on a non-partisan, county-wide basis with seven representatives chosen from the six townships and two members selected at-large. Coats, America's #1 name in sewing and needlecraft products.